OnDemand UniversitySM instructor-led online (ILO) training courses from enChoice provide all the benefits of live instruction without the hassle of travel time and costs – students can learn virtually from wherever an Internet connection is available. ILO courses equip CMOD users with the in-depth knowledge and techniques necessary for getting the maximum benefit from their CMOD systems, and help prepare students for the IBM CMOD System Administrator certification exam. ILO classes include live, interactive presentations and hands-on labs. 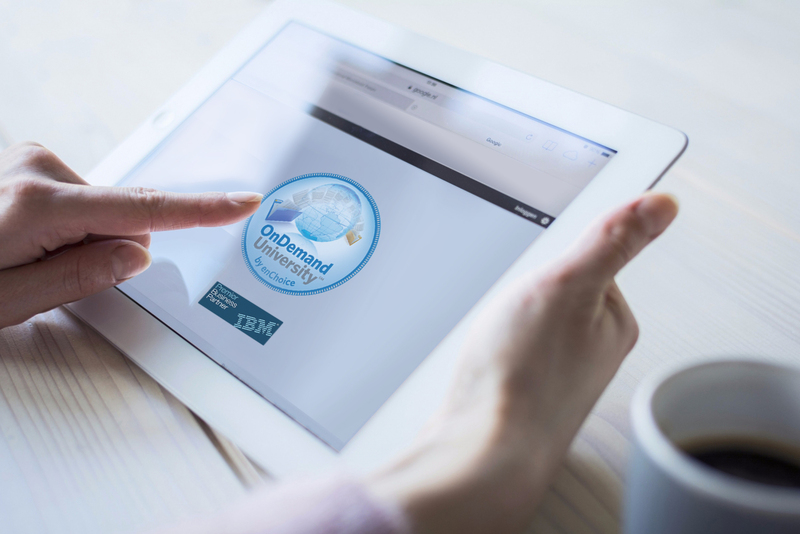 Classes are taught in English by highly certified, IBM-authorized CMOD instructors including the original founder of IBM’s CMOD education practice and IBM’s former worldwide CMOD Program Manager. Instructors are also available to converse in Danish and French. This course is for individuals who administer and maintain an IBM Content Manager OnDemand MP V10.1.x system. Students will complete exercises using the command utilities required for system maintenance and document processing, including arsxml, arsdoc and arsadmin. The course covers system and user exit logging and the document audit facility. This course also instructs students on how to create OnDemand objects such as applications, application groups, folders, and cabinets, as well as how to index, load, retrieve and view various types of line data report files, PDF and AFP documents and image files.